Bagaimana Ekonomi Timor Leste Setelah 16 Tahun Merdeka? Akankah Timor Leste Menjadi Perangkap Utang China Berikutnya? 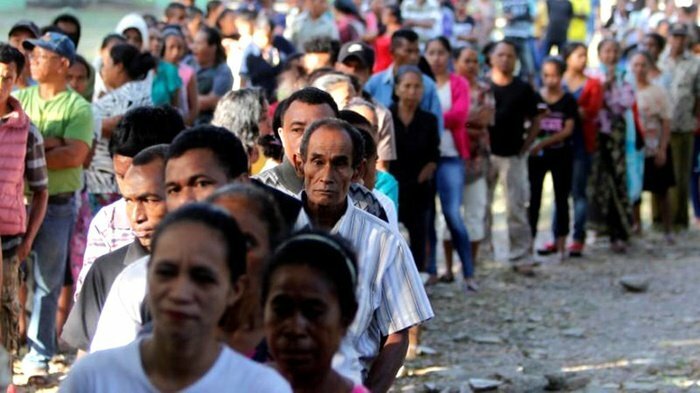 Timor Leste yakini peluang kerja sama masih terbuka - Jakarta (ANTARA News) - Pemerintah Timor Leste meyakini bahwa peluang kerja sama antara Indonesia dan Timor Leste, sebagai negara yang bertetangga, masih terbuka lebar. Salah satu kerja sama yang ia garis bawahi terkait dengan proposal Timor Leste untuk menjadi anggota ASEAN. Pemerintahnya berharap agar Indonesia terus dapat memberikan dukungan agar negaranya dapat menjadi anggota Asosiasi Negara-Negara Asia Tenggara itu. EAST Timor risks a repeat of the anarchy that gripped the country in 2006, as it has a dysfunctional police force, a chaotic justice system, a divided political leadership grappling with "dismal" social problems and an economy facing a "precipitous fall" in oil revenue. The findings are contained in a confidential UN report, obtained by The Australian, which warns that urgent international intervention is required to strengthen East Timor's police and judicial systems to ensure the nation's stability. The leaked copy of the security assessment, by the UN Department of Peacekeeping Operations and dated December 1, warns that the troubled half-island nation remains vulnerable to rapid political collapse. Australia was forced to send in peacekeepers after the capital Dili exploded into violence in May 2006 when an armed forces mutiny pitted ethnic easterners against ethnic westerners. The violence led to dozens of deaths, the ousting of the Alkatiri government and tens of thousands of people being left homeless. The Australian Defence Force has recently withdrawn several hundred troops from East Timor, but 750 Diggers serving as peacekeepers remain. The report was prepared as part of the UN's evaluations on the future of its peacekeeping operations in the country. It recommends UN forces remain in the country despite growing pressure from within East Timor for them to depart. The report is a frank admission of failure by the world body and donors, including Australia, to build a credible and effective police force and judicial system in East Timor. While focusing mainly on the country's security sector, it sketches a depressing picture of a senior political leadership riven by internal bickering. 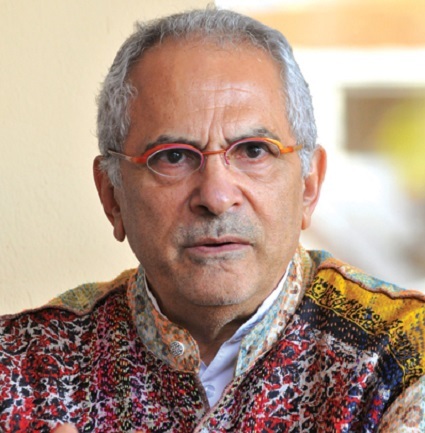 The report says political stability in the country continued to depend on the "personal chemistry" of the four leading state actors: Prime Minister Xanana Gusmao, President Jose Ramos Horta, Fretilin opposition leader Mari Alkatiri and army chief Tuar Matan Ruak. 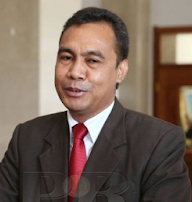 Mr Gusmao is facing a political balancing act, with Timor's economic outlook weakening because of the collapse of oil prices sparked by the global financial crisis. Despite this, Mr Gusmao must deliver on the need to improve "dismal" socio-economic conditions in the country while trying to strengthen law and order. "In order to solidify the precarious social conditions, the country may need a special massive employment generation project(s), for example in areas of infrastructure building and agriculture," the report states. "With regard to the security institutions, there will be no easy choices, and donors should be prepared to provide new reinvigorated assistance in the security area while the Government continues to be under pressure to redeem on its social promises." While there had been some successes, attempts to create a credible and unified national police force had failed. "Tremendous institutional gaps persist, including weak management and command and control, lack of core capacities (eg investigations) and an almost total absence of logistics and systems maintenance capacity." The report describes as "most troubling" the fact the local police appeared to have no budget and noted rising tensions with UN police stemming from unrealistic demands by the Timorese for a bigger policing role. The Australian Defence Force Academy's East Timor expert, Clinton Fernandes, said time was running out to fix East Timor's legal system. "Out in the districts, people are just waiting for the next crisis before they start taking action with their own hands," he said. "I actually see the place cracking and I think the UN report is spot on." East Timor's court system also attracted a scathing review. The report called for an independent review of the entire Timorese justice sector. Courts are choked with a backlog of more than 5000 cases, a problem exacerbated by an "acute shortage of judges, legal defenders and rehabilitated court structures" and, apparently, language. The Government's insistence on the use of Portuguese as an official language means more court bottlenecks because of a requirement for multiple translation services. While most East Timorese speak native Tetum or Indonesian, few except for the political elite speak Portuguese, the language of the former colonial power. A demand by Mr Ramos Horta that all court cases be presided over by East Timorese judges from June next year is likely to further stall the delivery of justice, it says. Portuguese-speaking international judges currently act in a mentoring role and sit with Timorese on cases. East Timor Eyes Billion-Dollar Oil Bonanza, As Wildcat Drilling Starts In 2019 Damon Evans, Contributor Energy. 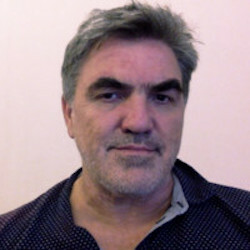 Damon is a consultant, editor and journalist based in South East Asia. Tamba Sa dehan PR kauza Prinsipal ba Impasse Politiko? FOI CRIADO EM COIMBRA NO DIA 28 DE MARÇO DE 2008.